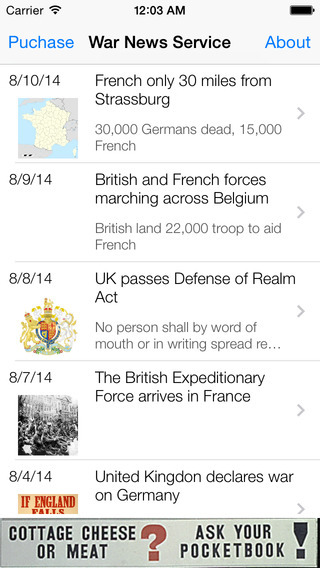 My newest app, The War News Service is a breaking news app that delivers news 100 years too late. 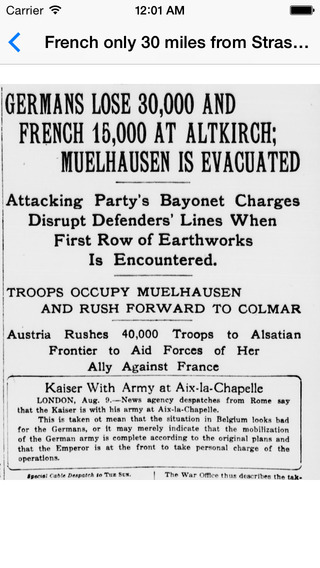 In this case you get to live world war I day by day with news paper articles 100 years to the day. It’s a free educational app. iPhone only works on iOS6+. Is there any way you’d make your database available for an Android port? I think this is an incredible idea, and it would really be awesome to bring this to as many people as possible. Thanks. An android version is in the works.